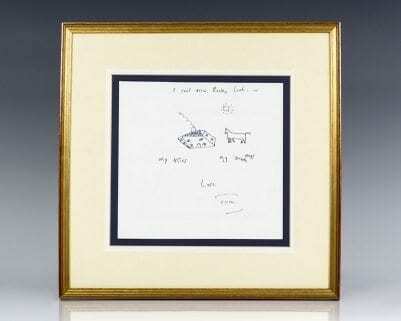 Murdock, Luke S.; Drawings by E. J. Geske. 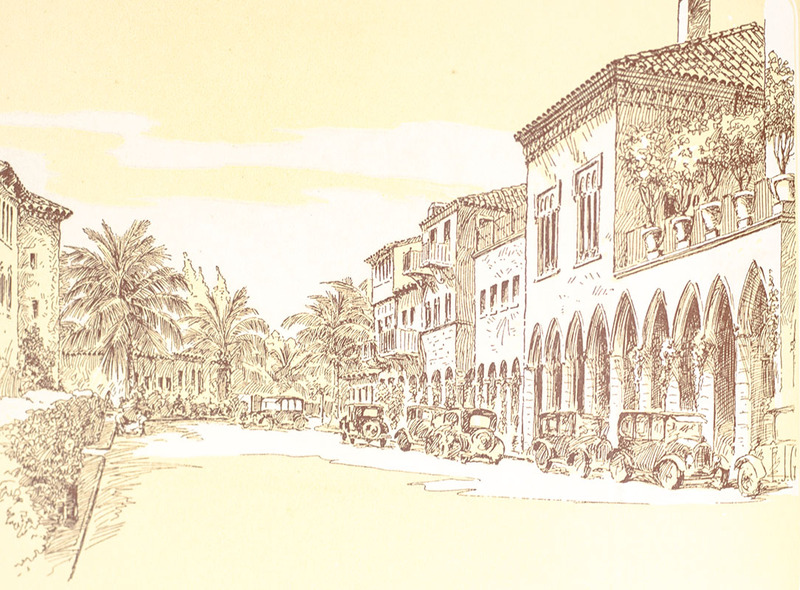 West Palm Beach, Florida: Long & Murdock, 1926. 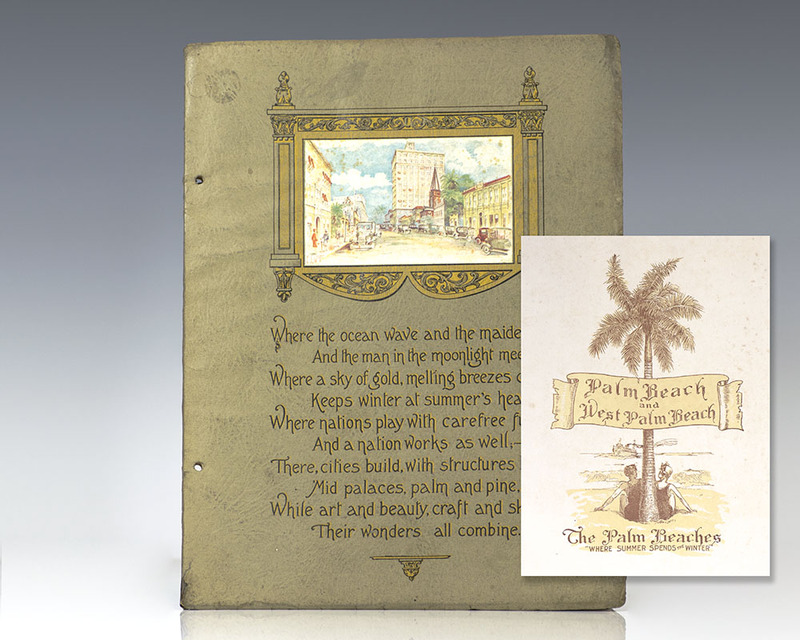 First edition of this beautiful presentation of the area and most iconic buildings of Palm Beach. 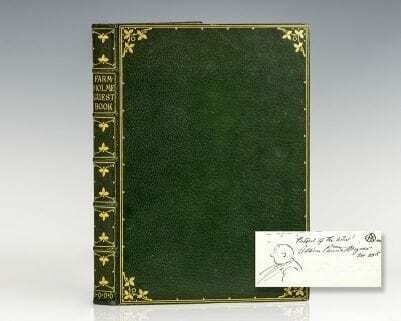 Quarto, original wrappers with gilt titles and tooling to the spine, watercolor inlay of downtown West Palm Beach to the front panel, illustrated title page with tissue guard, copiously illustrated by E. J. Geske. In near fine condition. 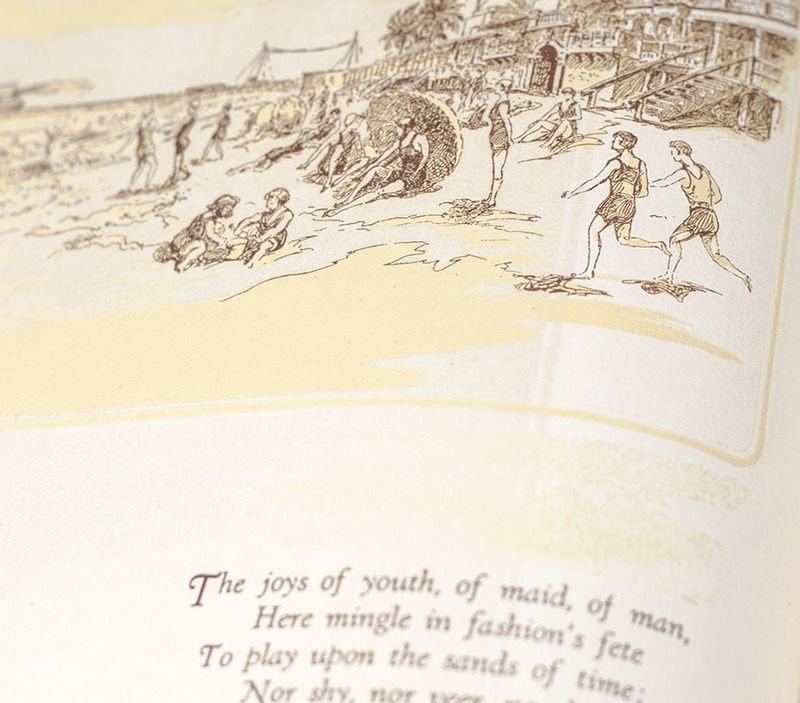 Published in 1926, this lavishly illustrated art booklet offers a detailed view of the areas of North, South, West, and Palm Beach. 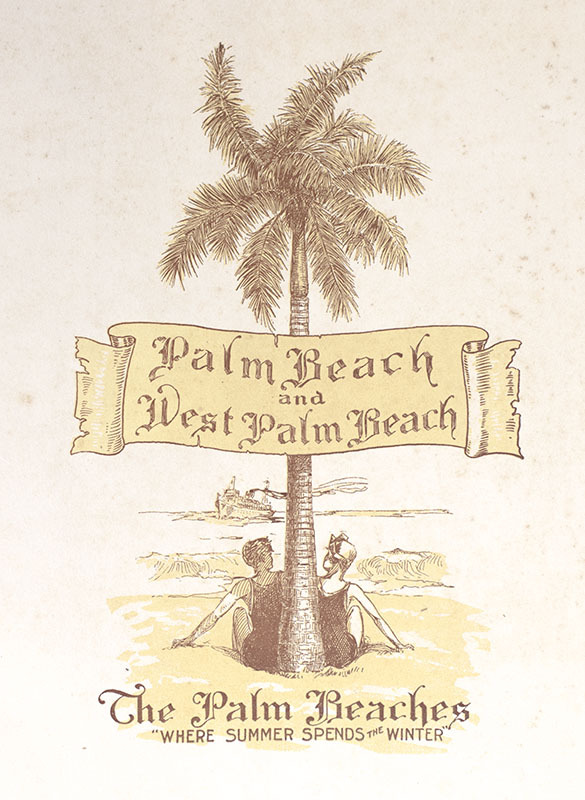 Each page offers an elaborate illustration accompanied by detailed description of the most iconic buildings, estates, beaches and buroughs of the Palm Beaches. 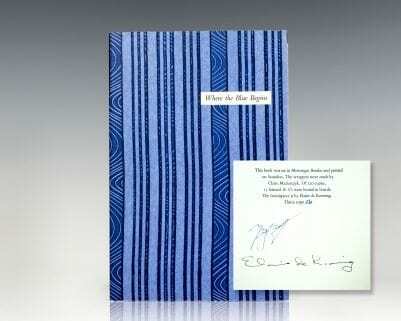 Illustrations include Worth Avenue and Via Mizner, the Breakers Casino and beach, Alba the Magnificent, the Everglades Club, Clematis Street, and Woodlawn Cemetery.